Twitter announced on its own account that animated gifs were now taken into account in the web version, also on iOS and Android apps. For businesses, this means that the shared information may also include animated gifs. This follows recent changes on Twitter: identification of contacts on photos, the ability to send multiple images in a single tweet in December, the site had also authorized the sharing photos from private messaging . 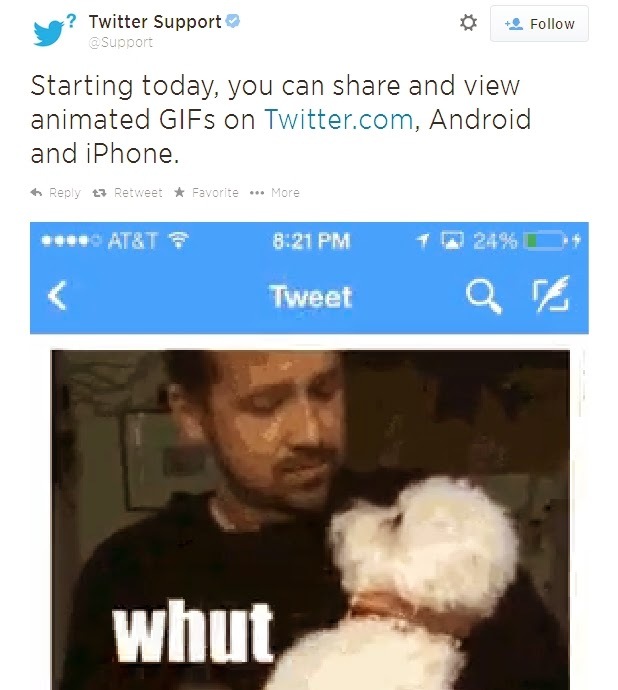 Animated gifs load in a tweet as a photo. On the web version of Twitter as well as iOS and Android, they are animated by clicking the play button. The system reminds the operation of Vine.